David faces Goliath at Rodney Parade in the fifth round of the FA Cup. 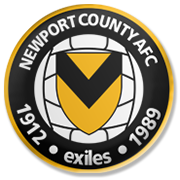 Newport City set up a meeting with star-studded Manchester City by beating the likes of Metropolitan, Wrexham, Leicester City and Middlesbrough and they are surely eager to claim yet another major scalp in the FA Cup. However, given Man City’s thrilling form, we do not believe that there is a big value in betting on the League Two side. 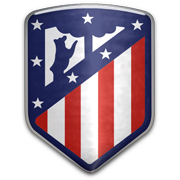 The Citizens look unstoppable at the moment and we predict that they are going to make it to the FA Cup quarter-finals without any difficulties. Kun Aguero has been scoring goals for fun of late and all eyes will be on the team’s top scorer when Newport County and Manchester City face each other at Rodney Parade. It has to be noted that the two sides meet for the first time ever in a competitive match. Ilkay Gundogan is a German footballer of Turkish origin who made a name for himself playing for Borussia Dortmund. The skilful midfielder began his professional career at VFL Bochum, but it was at Nurnberg that he was given the opportunity to prove his undoubted potential. He needed just two years to make Germany’s top clubs stand up and take notice and the Millionaires secured his signature for mere €4 million. That would prove to be a great investment as Gundogan quickly slotted straight into the starting line-up and became a playmaker in the side led by Jurgen Klopp and later Thomas Tuchel. The midfield maestro kept being linked with clubs like Manchester United, Barcelona and Arsenal, but he resisted temptation to leave Borussia Dortmund, winning one Bundesliga trophy with the club and making it to the Champions League final. Gundogan unfortunately missed the 2014 World Cup finals through injury, but there is still time for the BVB star to make things right and lift a major international trophy with Germany. Manchester City are the lest famous of the two major clubs based in Manchester. The club was founded in 1880, but they have been struggling in the English Premier League in the past. Nonetheless, ever since the club was purchased by Abu Dhabi United Group in 2008, the Citizens have been playing an important role in the English top flight. Manchester City won two Premier League trophies under Roberto Mancini and Manuel Pellegrini (2011/2012 and 2013/2014), but both managers eventually paid the price for some disappointing results. Man City play their home games at the Etihad Stadium and the stadium capacity is 55,097. Manchester United are regarded as Manchester City’s biggest rivals and the likes of Kun Aguero, Carlos Tevez, Shaun Wright-Phillips, Uwe Rosler, Yaya Toure, Sylvain Distin are some of the most remarkable players that played for the Etihad Stadium outfit. Manchester City have won four Premier League titles and five FA Cup trophies and it has to be noted that they made it to the Champions League semis in the 2015/2016 season.